Nestled in the tranquil village of Thornthwaite, this large detached house offers the very best in luxury holiday accommodation for up to 8 people. Beech Nook is an ideal base for walkers or families discovering the Lakes, and is only a short drive from the delightful historic market town of Keswick. ooms; one double en suite, a double bedroom, a small double room with 3/4 bed, and a twin bedroom. There is also a shower room and family bathroom in addition to the en-suite facility. Causey View is a delightfully cosy mid terrace cottage, positioned along a small lane in the centre of Keswick. Inside you will find a comfy lounge with light oak flooring, open slate fire, small dining area and leather sofa leading to the newly fitted kitchen and an outside shared garden and patio area. 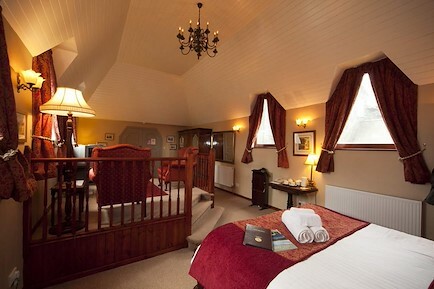 To make your stay extra special the luxurious bedroom upstairs provides a king sized bed. A pass is provided at the property to allow parking in the Lakeside or Central Car Parks, which are a short walk from the cottage. The terraced cottage has a comfortable lounge with an electric fire & dining area leading to a fully equipped kitchen. Upstairs there is a twin bedded room and a second small bedroom with bunk beds. The shower room has a toilet and basin with gas central heating throughout. Please note stairs in this property are steep, and are unsuitable for people with mobility difficulties. Fence Cottage has on street parking to the front and pets are welcomed by prior arrangement for a small additional charge. The cottage is located in the hamlet of Millbeck, a short drive from Keswick. During your stay you may enjoy the use of the newly fitted, large open plan kitchen/dining area and the spacious comfortable lounge with newly installed furnishings. Millbeck cottage is comprised of one double en suite bedroom, a second large double bedroom with an additional single bed, and a twin bedroom. Pets are welcomed by prior arrangement for a small additional charge. The 2 superb cottages at Wood Farm (Tithe Cottage & The Byre) are conversions of a former farm building set around the courtyard which includes the main farmhouse. Both cottages are equipped to the highest standards and decorated delightfully, each sleeping up to 6 people. The two cottages at Wood Farm, can be booked together to accommodate a group of up to 12 people. The cottages are very similar in design and layout - On the ground floor there is a large lounge, a fully equipped modern kitchen including dishwasher, fridge/freezer, double cooker, washer/dryer and microwave (this also incorporates a good sized dining area). There is also a bathroom with shower and w.c. and an area to hang you jackets and leave your boots. Our properties cover Keswick and the North Lakes as well as the Western Fells. Your enquiry will be sent directly to Your Keswick Holidays. Please fill in as much detail as you can.